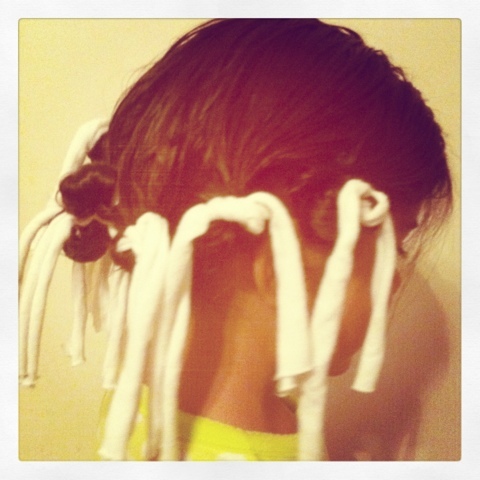 She finally let me put her hair in the “rag” curlers. This is very exciting for me, normally she runs screaming. She wants to be pretty for Valentine’s day tomorrow, although I’m not sure how it will hold out considering tomorrow is gymnastics. But I will take any opportunity that I can to play with her hair, it’s one of the perks of being mommy to little girls. This entry was posted in Instagram, Parenting, Project 366 and tagged curls, Hair, Instagram, photograph, project 366, rag curls. Bookmark the permalink.